University alum Lin-Manuel Miranda ’02 has recently been politically active via Twitter, targeting President Trump for his response to the devastation inflicted by Hurricane Maria in Puerto Rico. Miranda, who is customarily positive on Twitter, has produced a recent succession of tweets expressing outrage at Trump’s commentary on aid to Puerto Rico, and the criticism of San Juan Mayor Carmen Yulín Cruz. Students have generally praised Miranda’s response but have noted reservations about the use of Twitter as a medium for political discussions. Miranda, whose parents are from Puerto Rico, has been vocal about the need for activist support for the territory. Since Hurricane Maria, Miranda has worked to raise money for organizations such as the Hispanic Federation, one of the nation’s premiere Latinx organizations. The Hispanic Federation partners with hundreds of smaller grassroots organizations to provide aid where it’s most needed, according to its website, and Miranda has been regularly mentioning them in tweets. “Turn your outrage into action turn your anger into action turn their indifference to your action we keep going,” Miranda tweeted on Sept. 29, with a link to the Hispanic Federation’s donation page. While Trump continues to defend the United States’ level of intervention in Puerto Rico, the situation remains dire. More than half of the U.S. territory lacks drinking water, with 50 percent of roads closed and many residents cut off from aid. The island has damaged communications and is wrought with destruction from flooding and winds. Puerto Rican Governor Ricardo Rosselló stressed the continued need for aid, as quoted in an article in CNN. As Trump tweeted out increasingly negative material over the days following the hurricane, Miranda turned from a generally positive message regarding the need to support Puerto Rico to more accusatory language. This was spurred by Trump’s targeting of Cruz. “The Mayor of San Juan, who was very complimentary only a few days ago, has now been told by the Democrats that you must be nasty to Trump,” Trump tweeted on Sept. 30. Trump’s tweets were in reference to a recent live interview with Cruz, during which she is playing a video of Acting Homeland Security Secretary Elaine Duke, and asked to react. In the video, Duke expressed contentment with U.S. efforts to provide aid to Puerto Rico. “It is really a good news story in terms of our ability to reach people and the limited number of deaths that have taken place,” Duke said. After watching this video, on live television Cruz reacted negatively, expressing that being in Puerto Rico and witnessing the devastation first-hand gave her a different perspective. Trump’s tweets and Miranda’s response have been heavily covered by news organizations, including Vox and The New York Times. 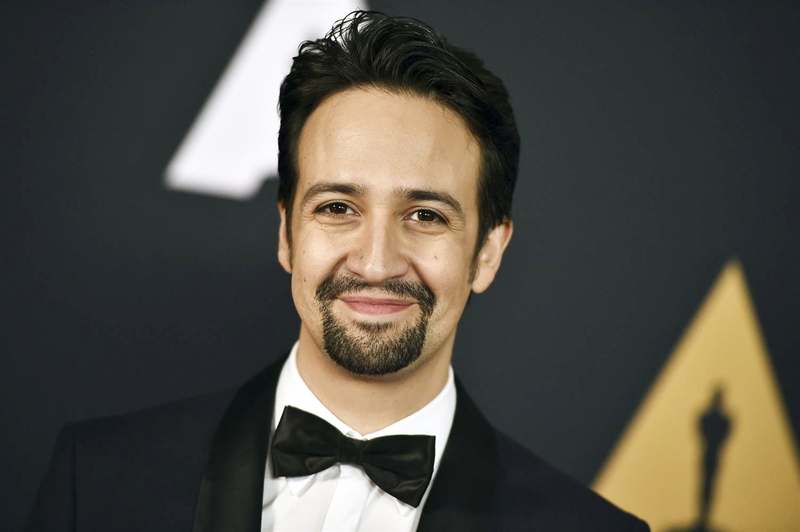 Likewise, Luis Miranda, Lin-Manuel Miranda’s father, responded to the tweets in an article appearing in the New York Daily News. Student reactions to Miranda’s tweeting, and the more general tendency of politicians to use Twitter as a medium for political conversations, have been mixed. Emma Greenfield ’20 expressed similar feelings. Greenfield added, however, that she felt that conversations such as this one would resonate more strongly on a different platform. The actions of both Miranda and Trump are emblematic of the larger dynamic of political discussions through social media. Trump is the first president to actively utilize Twitter as a microphone for his individual thoughts, and this direct use of public communication has been met with mixed responses. After his tweets directed at Trump, Miranda notably addressed his followers in a tweet later on Sept. 30. Miranda, in addition to promoting aid organizations, has stated that he will be releasing a song for Puerto Rico on Oct. 6, and it will feature a variety of celebrity artists. “It’s a love letter to Puerto Rico,” he said to CNN.